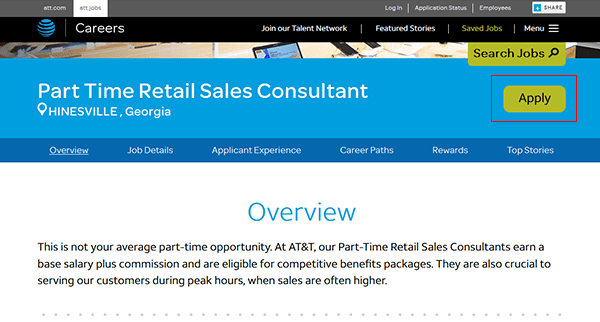 Learn how to search for current openings and fill out/submit the DirecTV job application (online version) in the guide posted on this page. Several different career types can be applied for including corporate, operations, sales, and support positions. 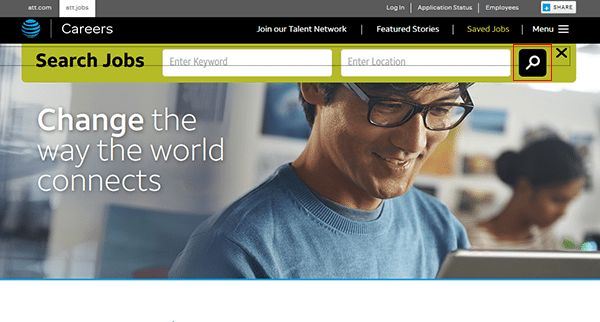 Learn more about the company’s online hiring process in the below instructions. About the Company: DirecTV is an American satellite television provider headquartered out of El Segundo, California. The company was formed in 1990 and is currently owned/operated by AT&T. DirecTV operates in the North American, Caribbean, and Latin American markets. 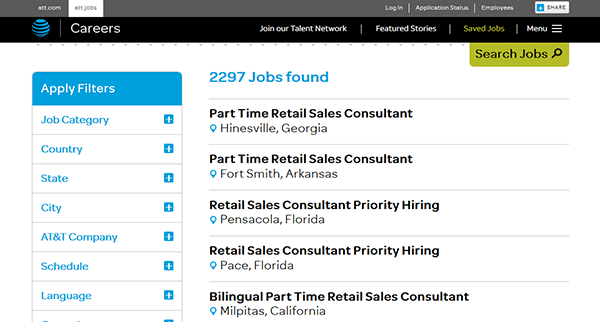 Step 1 – Click here to open the DirecTV jobs page in a separate browser window/tab. Note: You can also press the button/link at the very top of this page to open the company’s jobs page in this window/tab. Step 2 – Click the “Search Jobs” button, and then enter a keyword or location into the search form. Click the button as outlined below to load the results. Step 4 – Click the job title/link of the position that you want to start the online hiring process for. 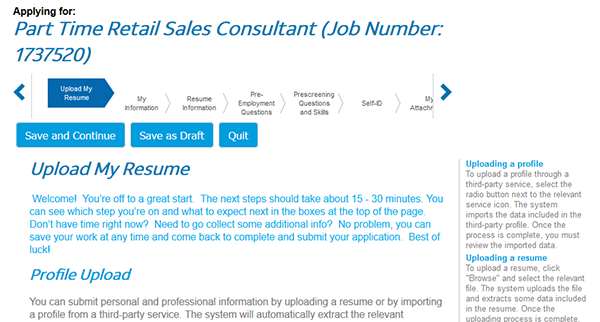 Step 5 – Read the job overview and then click the button as outlined in red in the below screenshot. Step 6 – Read and then accept the privacy agreement. Step 7 – If you’re a returning user sign in to your account. If you need to create a new account click the “New users register now” link underneath the login form. 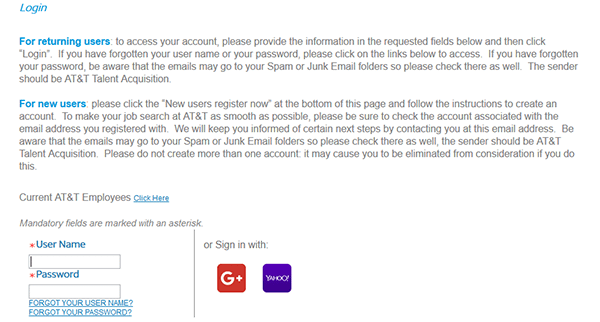 Note: You can also use your Google/Yahoo account to log in. Step 9 – Create a security question/answer.